Pyrotechnics and Flame Effects are the perfect way to augment and enhance our fire performance shows. They provide a spectacular backdrop for our larger corporate shows, or a well placed ‘punch’ to our smaller events. 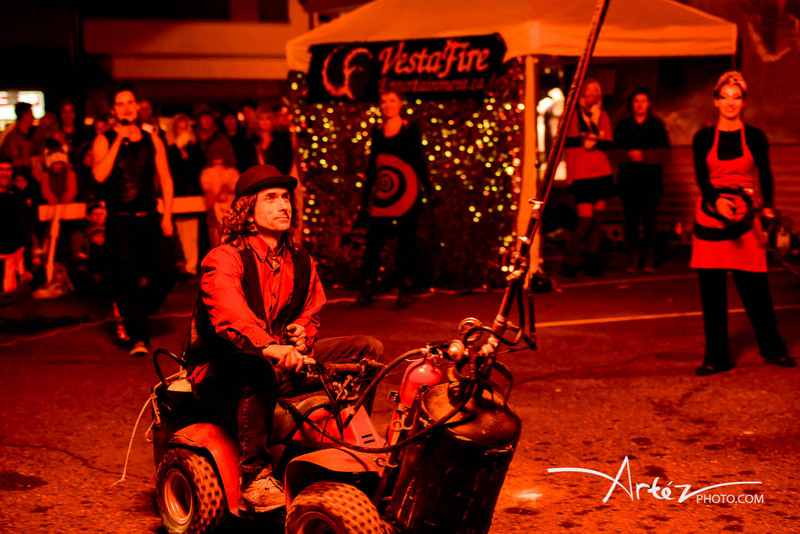 Headed by Cam Bremner, the VestaFire pyrotechnic team is a solid crew of experienced technicians, who can design and implement a spectacular fireworks display to WOW your clients. Prices range depending on number of charges, type of effect, and size of show. Contact us now to discuss incorporating pyrotechnics into your festival or corporate event! Terry is the visionary responsible for many of Vesta’s large scale flame effects. From propane cannons to CO2 blasters, Terry is always creating unique and fabulous crowd pleasers that add that special punch to any show. He is also a Pyrotechnician. #stiltwalker #upgrade thanks to @jeffthebuilder for #vestavixens - a full foot taller than the old stilts and half the weight!